Zekrom screeches causing Reshiram's defense to increase, thus doing 100 damage, no matter what happens this move can not miss. 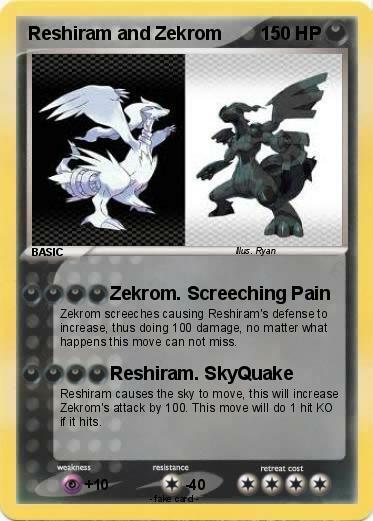 Reshiram causes the sky to move, this will increase Zekrom's attack by 100. This move will do 1 hit KO if it hits.